Welcome to our very extensive site on Casa Grande pigeon and bird control or bee removal, from a company that has been doing this type of work for over 11 years. 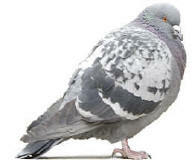 We are a family owned and operated pigeon proof and bird control company that has spent over 12 years specializing in providing Humane, Effective, Discrete and Guaranteed pigeon control and bird proofing solutions to 4500+ homes and 100's of structures and businesses in Casa Grande, City of Maricopa in Maricopa County and Arizona. Then why hire some inexperienced bug guy to fix your pigeon or bird problems! Get your inspection and estimate in Casa Grande and City of Maricopa by calling Arizona Wings N' Stings an experienced specialist that guarantees all work, the products we install and the results you'll get for your home or business. "Thank you so much for your professional and excellent work on this difficult job, we truly appreciate it"
"You have very friendly people, you don't find that in many businesses"
"Just a note of thanks for the thorough and professional job Steve did on our home today and Jeff did with his estimate yesterday. I�m very glad I contacted your company and will highly recommend Arizona Wings-N-Stings. 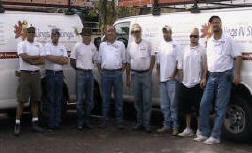 I appreciate your crew, their attitude and their skills." "It's very confronting to know you are there for us, I so appreciate your help today"
"We are happy to offer our thanks and appreciation for a job well done in controlling our pigeon problems at the industrial park"
"Since you closed off the overhangs of my home and installed the shock track on our roof peaks we have been pigeon free"
Copyright � 2010 Arizona Wings-N-Stings All rights reserved. Revised: 06/05/12.